I'm sorry, I know it's been a while! Everyone's been asking me why I haven't been posting much , but I've been so busy with my day job. :( I promise I'll try to keep this page dust free☺Anyways, I've got something interesting to share ! Yes,as the title says, this is gonna be a perfume review! As proud as I am of being a Malaysian, it's ecstatic to know that our cultural heritage is put out there for the world to see and experience. That's exactly what Josh Lee did. He created scents that people could remember by when they visited Malaysia's cultural heritage. When the capital of one of the states in Malaysia; to be exact, Georgetown, Penang; was listed as World Heritage Site by UNESCO in 2008, Josh Lee saw the opportunity to create something that tourists and Malaysians could remember this heritage site. 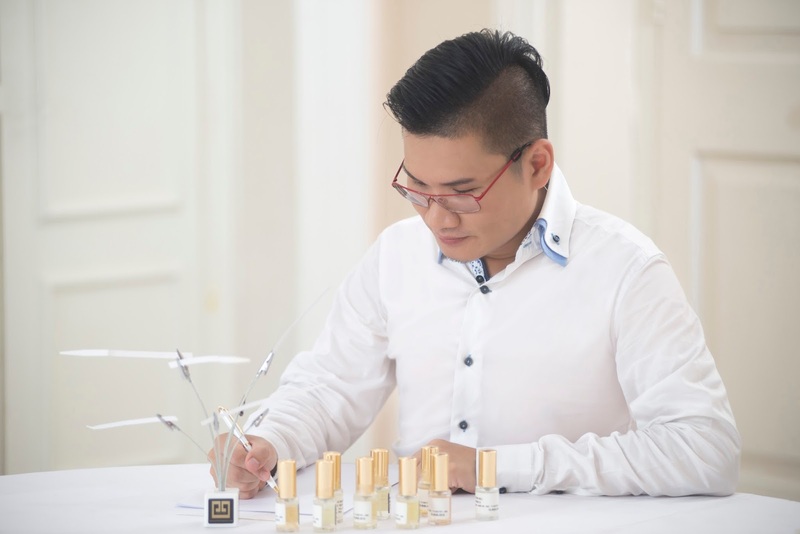 With the experiences he has from learning perfumery in France, he incorporated that to come up with what is known as Josh Lee Fragrances which focuses on Heritage Through Scent. 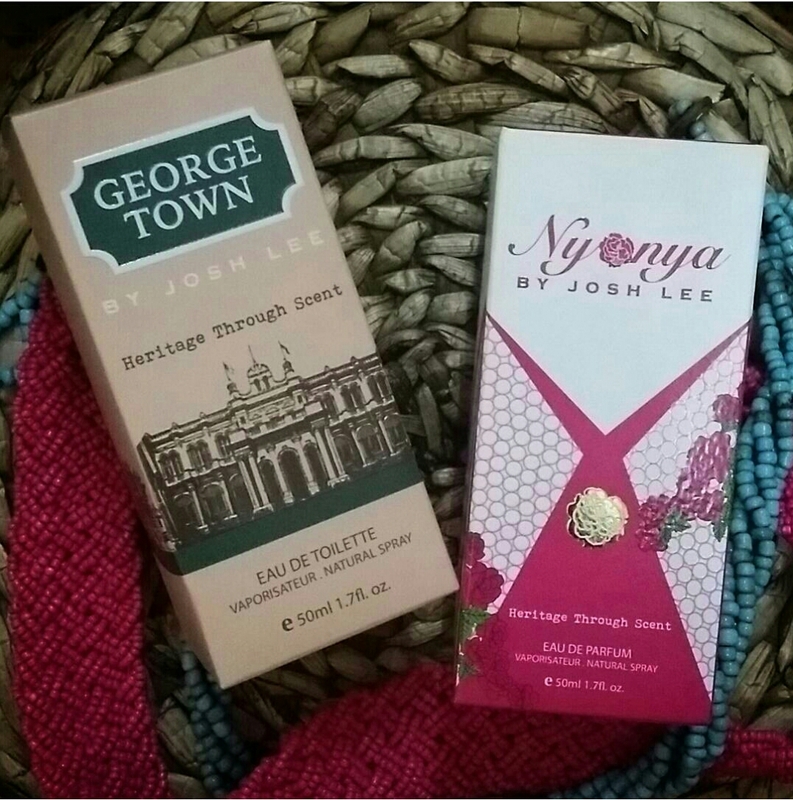 The recently launched Nyonya by Josh Lee is actually the third release following the previous perfumes in this collection; George Town and OUD. and Cosmetic Master from Top Perfumery Institute, ISIPCA in Versailles, France. So, shall we get to know the fragrances a little more? 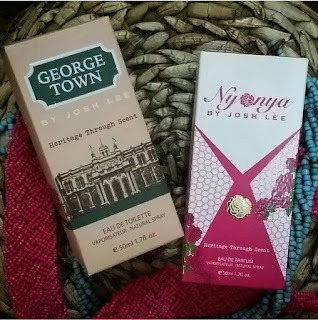 Nyonya by Josh Lee is the third fragrance in the Malaysia Heritage Collection. 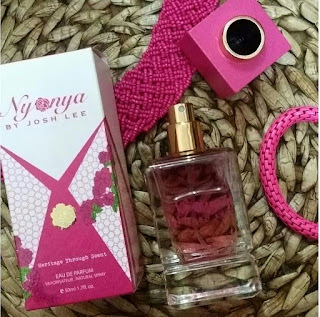 Nyonya by Josh Lee is a fragrance that celebrates the women of today who are modern and yet preserve her culture and traditions”, says fragrance designer, Josh Lee . Just incase some of you didn't know, Nyonya is a Peranakan, or Straits Chinese decedent,a woman of mixed Chinese and Malay/Indonesian heritage. When you think of Nyonya Women, you think of femininity, culture and elegance with their traditional Nyonya Kebaya. 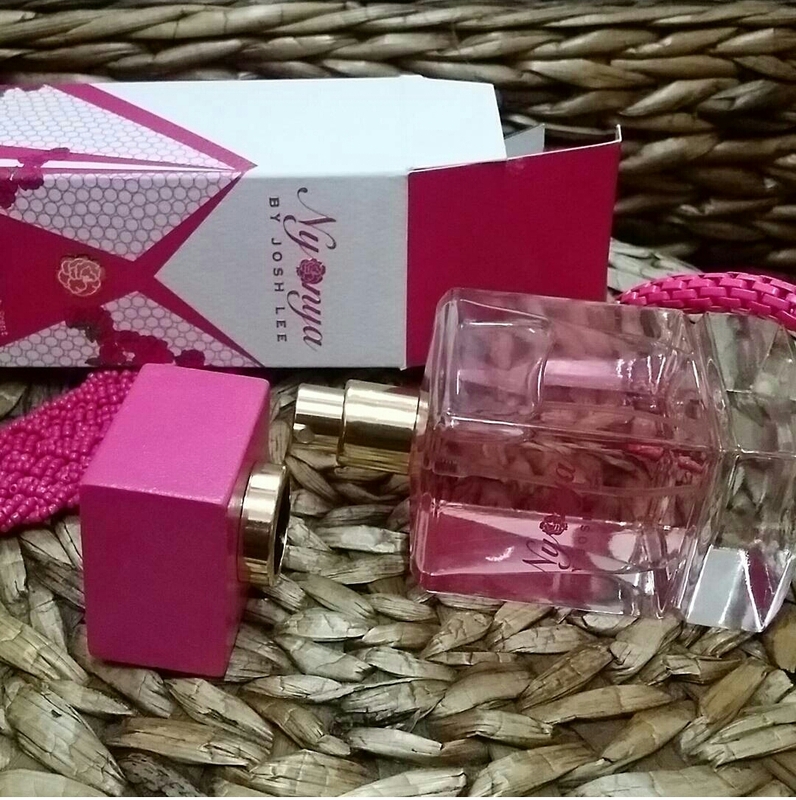 This EDP ( Eau De Parfum ), Nyonya by Josh Lee is a fresh floral fragrance.It is a representation of the graceful femininity of a modern Nyonya as she embraces flowers as part of her Peranakan culture; with rose and jasmine symbolizing her eternal beauty, lotus reflecting her purity, champaca expressing her eternal love while peony and orchid portraying her nobility. During the launch of Nyonya by Josh Lee, he also relaunched George Town by Josh Lee. 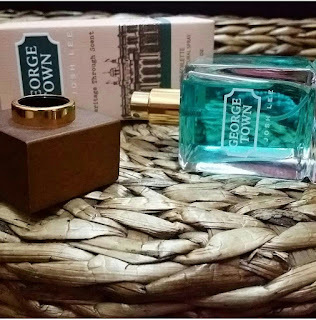 This Eau de Toilette (EDT) fragrance is highly acclaimed as the World's First Heritage City Fragrance and it came about during the listing of George Town, Penang as World Heritage Site by UNESCO in 2008 as mentioned earlier. According to Josh Lee, the fragrance oil is produced by Firmenich who is World's No. 1 Swiss Fragrance House of which created fragrance oils for a quite a number of international premium brands such as Daisy by Marc Jacobs, Romance by Ralph Lauren, Acqua di Gio by Armani, just to name a few. 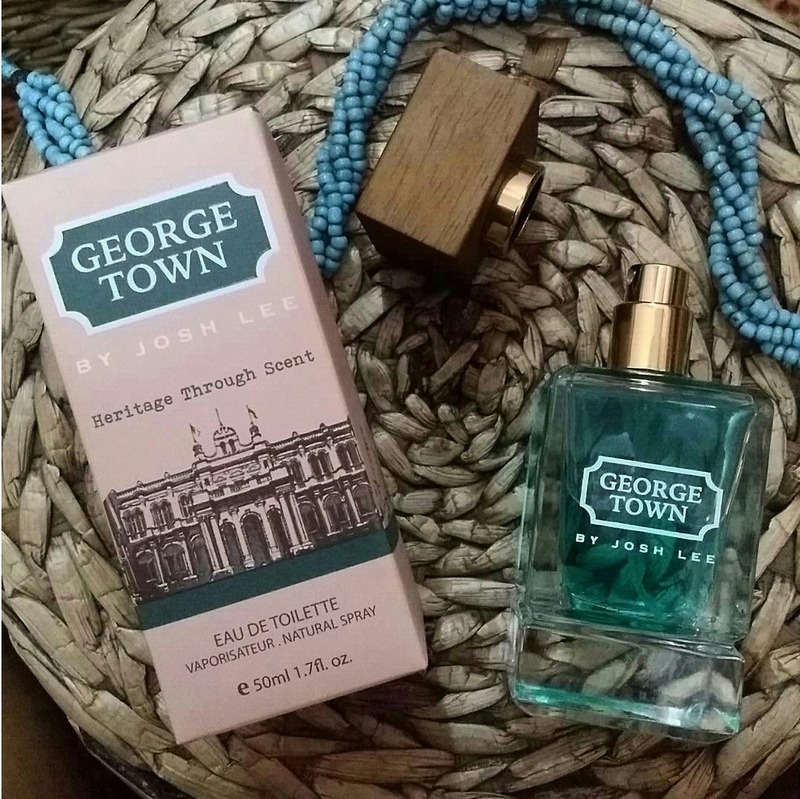 George Town by Josh Lee as we know is inspired by the heritage city of Penang as well as a tribute to his hometown is a scent of water, warmth and nostalgia.while OUD by Josh Lee is created based on the influences of the heritage-nature of the Malaysian Rainforest with its centuries-old precious trees. 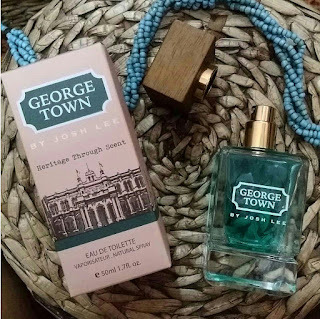 It features the four main characters of George Town city; fresh citrusy sea water of Penang island, heavenly gourmet spices (nutmeg, cinnamon, cardamom), romantic floral bouquet (hibiscus and rose) and rich heritage woody notes (sandalwood). and HALAL by JAKIM Malaysia. We asked Josh Lee what his favorite/signature ingredient was in his fragrance and this was what he said ." My signature ingredient is hibiscus flowers as this is national flower of Malaysia and the scent is subtlely soft, sweet and musky. Both OUD and George Town contain the notes of hibiscus petals. " 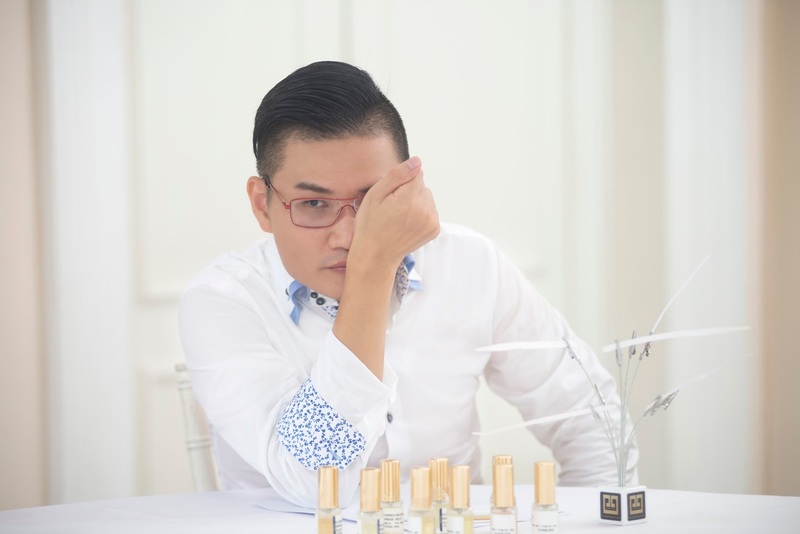 What I'm really impressed is Josh Lee himself, takes the time to ensure that the scents he creates and the perfume he launches are unique and each perfume has its own story. He takes pride in what he does which what makes the perfumes he launches is special and of good quality. Let's start with the packaging, I absolutely love it. It comes in a square glass bottle with a square wooden cap. It looks very classy and it definitely has that heritage feel to it. I think my favorite among the two scents would be Nyonya by Josh Lee because it very soft and subtle yet sweet and feminine. I've used it a couple of times to work after I got it and I've received a few good compliments. I think that it suits women of every age. George Town has a citrus scent with a spicy hint but still has a slight musky scent . I am not a pro at describing scents but this is perfect for both men and women. It's amazing how with all the ingredients used to create both perfumes, you are still able to get distinguish all the different ingredients used in that heavenly not-so-little bottle of perfume. But what I can definitely say is that both are unique and distinctive in its own way. 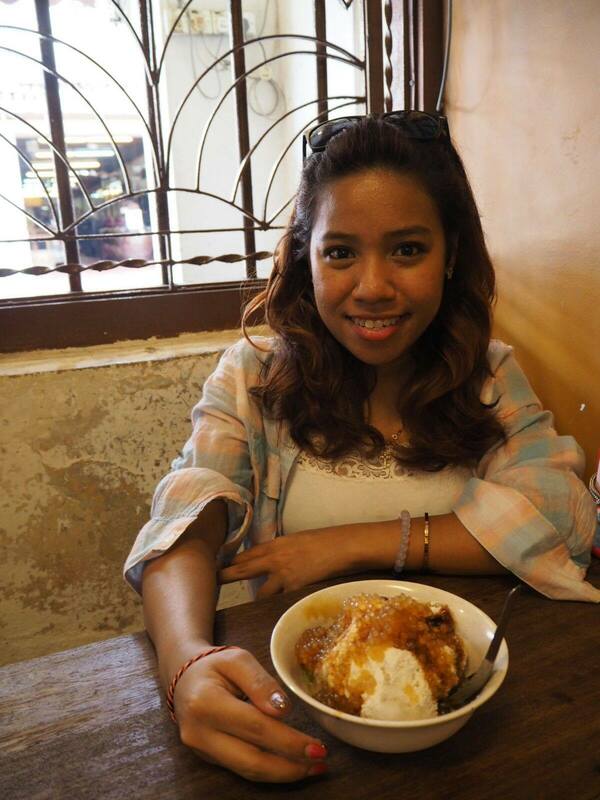 Honestly, the more I smell both Nyonya and George Town, the more I can't decide which I love more. In this situation, I guess its OKAY to love both! Just in case you're wondering, when ask what 2016 looks like for Josh Lee Fragrances, Josh Lee says that 2016 will be a very exciting year as they will be creating more women’s fragrances which are inspired by the flowers in Malaysia and Asia an of which those sophisticated scents will be blended with a variety of local exotic flowers bouquet. Psstt... he adds that, he is looking forward to releasing them in October 2016. If you're planning to get these , Josh Lee Fragrances are available in selected shopping malls, tourist attractions, hotels and airport duty free shop in Penang, Kuala Lumpur, Langkawi, Sarawak and Sabah. I have attended some fragrance events on Malaysia, especially for the show of their local brand. The place was really good. I have used the George Town once, this is really a good perfume. Thanks for sharing this post.